A Tennessee man who converted to Islam about a decade ago has moved to New Hampshire to open the first full-time mosque in the state. 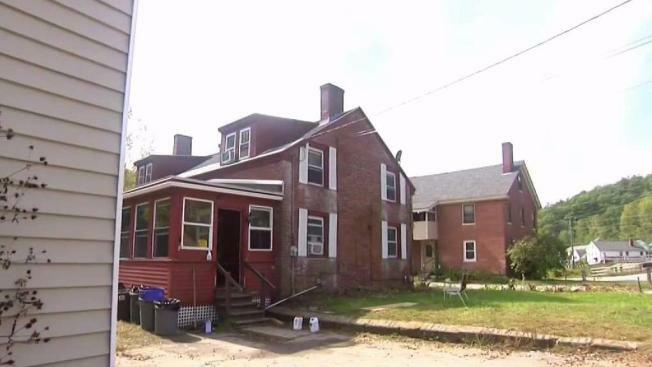 A man from Tennessee has moved to New Hampshire to open the state's first full-time mosque. Work on the building has already begun. Inside, you'll find volunteers from all different religious backgrounds coming together to make it happen. Imam Will Coley has been studying religion for decades and converted to Islam about 10 years ago. "Our work has always been about bringing people together," he told NBC Boston on Tuesday. So when Shire Free Church, a local interfaith community, offered to donate a house in Keene to open a mosque, Coley decided to pick up his wife and five children and move from Tennessee. "I saw an opportunity to do a service that would bring this community closer together and I cannot walk away from that," he said. It will become New Hampshire's first full-time mosque, although Coley's plans include so much more. "The space is here, so please come," he said. Coley says the doors will be open as a community center to anyone and everyone — regardless of their religion. "If there is an Orthodox Jewish community of about a dozen, Saturday, the building is all yours," Coley explained. The mosque is literally being built on that same premise. Christopher Waid, an atheist, is doing his part to help. "I think it's a great idea to bring some religious diversity to Keene," Waid said. And the shop owner next door is even pitching in. "I was raised in the Episcopal Church," said Christopher Rietmann. He's proud that his community is sending a powerful message to those who believes religion is a barrier. "This is a way of tearing down boundaries that some people may perceive exist," Rietmann said. "We all do better when we are all working together," he said. The front part of the house on Marlborough Street will also be used as a warming center for the homeless during the cold winter months. Coley is hopeful the mosque will be open for worship by the beginning of November.